It is time, once again, for Blogger Candidate Forum. Today we are going to move off the subject of immigration and onto the topic of fair and affordable housing, Specifically what will the future of fair and affordable housing look like under President Donald Trump. Blogger would like to spend the time speculating on what if someone, other than Dr. Ben Carson, was nominated and confirmed as Secretary of Housing and Urban Development. 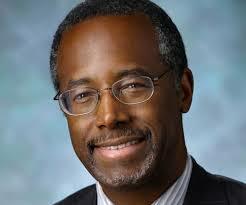 There were other candidates, each with vastly more experience than Dr. Carson. With the help of Kriston Capps's CityLab article, "What's at Stake in Trump's Pick to Lead HUD," we are going to take a look at what might fair housing look like over the next four years. It would interesting to discuss how Donald Trump real estate developer-turned-president stands on fair housing. Shall we begin? 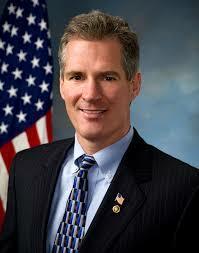 Former Massachusetts Senator Scott Brown (R-MA) was one of the names then-candidate Trump floated as a potential running mate over the summer along with Pamela Patenaude, president of the J. Ronald Terwilliger Foundation for Housing America's families, an executive with over 30 years experience in housing policy. 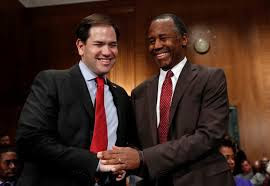 Both candidates for the HUD post have long-term commitments to affordable housing. Kriston Capps writes, "During the Republican National Convention in Cleveland, Senator Brown co-hosted a benefit to support Make Room, an affordable rental housing advocacy organization; the Terwilliger Foundation sponsored that event." Be that as it may, another name was considered for the position, Robert Astorino, a committed foe of one of HUD's signature fair housing accomplishments during the Obama administration. 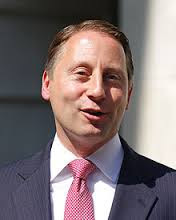 Robert Astorino, a Republican, is the county executive for the tony Westchester County, New York. In 2009 he cruised to victory and re-election in 2013 by brutally attacking the department. Mr. Capps points out, "Although 62 percent of Westchester County voted for Clinton...the more conservative message on housing resonates for historical reasons." Yonkers, New York, a city just north of Bronx, was the location of a fight over fair housing during the eighties and nineties. The source of consternation was "...an effort to build public housing in white neighborhoods..."
...would not allow unelected bureaucrats at HUD to create new obligations for the county that were never agreed upon in the settlement. Interestingly, both POTUS's and Mr. Astorino's fates have intertwined. The New York Times reported that "President-elect Trump appealed to Astorino to run with him on a ticket when he was mulling a campaign to be governor of New York." (http://www.nytimes.com) Now there is a thought, POTUS as governor of New York State. He could ended either as Governor-elect Trump or the runner up. Instead, Mr. Astorino ran his own campaign as the Republican nominee in 2014, losing to now-Governor Andrew Cuomo. Although Mr. Astorino was considered a lock for the position, according to his hometown newspaper, his pushback on the Trump campaign's anti-immigration rhetoric may have cost him the job.In June 2016, he told The Daily Caller that then-candidate Trump "...confided in him privately that he would rescind the AFFH rule if elected." He was elected president and fortunately, Robert Astorino was not nominated for HUD Secretary. That aside, previous Republican efforts to curtail AFFH have not been universally loved. Kriston Capps writes, "When Republican Utah Senator Mike Lee tried to defund HUD from implementing AFFH, 13 Republican senators joined Democrats in a 60-37 vote to table that amendment." From Trump himself, of course, we haven't heard much on housing in general and fair housing especially...But we do have the Republican Party platform to give us a sense on where the party may be headed on AFFH, and in the party platform it says, AFFH seeks to 'seize control of the zoning process...In order socially engineer every community in the country.' So I think that gives a sense of where the Republican Party is headed and feels generally around fair-housing issues. During the 2016 campaign, fair housing never became one of the bold faced issues. However, now that he is president, Donald Trump is responsible for enforcing the very same fair housing rules which once ran afoul as a developer trying to prevent African American tenants from renting his apartments. The second Obama administration accomplish is the Supreme Court's 5-4 decision in Texas Department of Housing and Community Affairs v. The Inclusive Communities Project. The Court affirmed that "'disparate impact'" is a form of racial discrimination prohibited by the Fair Housing Act. This means "that housing practices that disproportionately negatively affect a minority group are illegal, even if that impact is not an explicit goal." There are conservative business interests and there are conservative government entities that opposed disparate impact case and filed amicus briefs against that case...But that was a case that, in the end, was affirmed by a full Supreme Court when Justice [Antonin] Scalia was on the court. In our opinion, the desperate-impact standard for the enforcement of the Fair Housing Act is a matter of settled law, by a full Supreme Court, and won't be overturned by a Court even if the president were to appoint a justice who was opposed to that law. That justice is SCOTUS nominee Judge Neal Gorsuch. How Judge Gorsuch will rule on fair housing cases remains to be seen but Mr. Capps points out that "...a Trump administration could still undermine a full reading of the Fair Housing Act by not aggressively enforcing it." 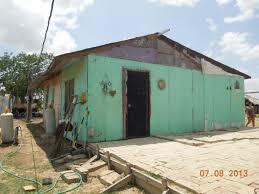 Texas legislators, for example, are searching for creative ways to prevent low income housing from going up in their constituents's communities. 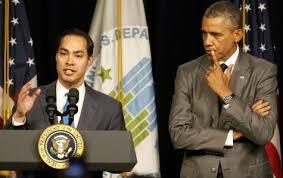 The Department of Justice will be crucial in protecting fair housing standards as HUD. Robust enforcement of the FHA at HUD and at DOJ, including through disparate-impact cases, remain critical priorities...Whomever [President-elect Trump] appoints as Attorney General [POTUS appointed Alabama Senator Jeff Sessions] and Assistant Attorney General for the Civil Rights Division must respect the expertise and discretion of career prosecutors. 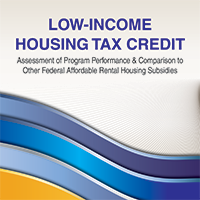 The current federal mechanism for creating housing for low- and very low-income households is the low income housing tax credit. SCOTUS's decision on disparate impact means that the LIHTC cannot be reserved sole for low-income or majority-minority communities. 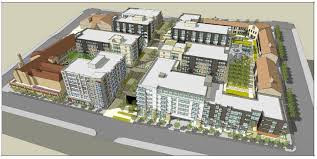 This allows the LIHTC to become a way for creating fair housing, albeit an imperfect tool. The low-income housing tax credit is the only tool we have right now to develop new low-income housing...Both the low-income housing tax credit program and the Section 8 housing choice voucher program rely heavily on the private market. Section 8, of course, was originally a Republican proposal. Housing advocates do agree that changes need to made to the LIHTC program to make it more efficient however, a Republican led Congress may not be incline to implement most of them. The LIHTC has enjoyed bipartisan support, but reform could bring about changes in nuance that could reduce the program's efficacy or change the household income range it serves. Congress could also limit the LIHTC program or get rid of it altogether. Mr. Capps notes, "Notably, the LIHTC was one of the few corporate credits retained under the comprehensive tax reform proposal released by the House Ways and Means Committee Chairman David Camp..."
Further, "More direct forms of federal spending on housing are certain to decline under a Republican-controlled Congress." Another point that Mr. Capps makes, "More direct forms of federal spending on housing are certain to decline under a Republican-controlled Congress." The federal government support through funding for affordable housing has been declining for many, many years...We've been on the defensive in trying to protect things like housing choice vouchers, public housing, and the[HOME Investment Partnerships] programs, and I think the assault will continue. For a long time, that's something we've been pushing to reform in order to both make the [tax] benefits of homeownership available to low-income homeowners, who currently get none, and also to realize some really significant savings that can be reinvested in affordable rental housing programs...[Mortgage-interest deduction] reforms, for many years, was a third rail. It's not anymore. In almost all the bipartisan tax reform proposals that we've seen, we've seen something around reforming MID. And Paul Ryan himself, in his 'Better Way' package of policy proposals, leaves open a window for changes to the mortgage-interest deduction. The challenge from our perspective is fining a way to retain some of those savings and reinvest them back in affordable-housing programs, and not just use them to further lower tax rates. 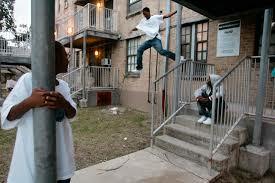 Budget sequestration has been particularly hard on housing. Mr. Capps writes, "According to the Center on Budget and Policy Priorities, federal support for housing choice vouchers fell $228 million from 2010 to 2016, meaning the loss of housing aid for tens of thousands of vulnerable families." During the fall campaign, then-candidate Trump laid out a goal to eliminate sequestration for defense spending. All well and fine. The Republican-majority Congress may get the opportunity to decide that the best or only way to pay for defense spending increases is to make corresponding cuts to non-defense discretionary funding. By non-defense discretionary funding we mean majors cut to HOME, Section 8, public housing, and other programs. Melora Hiller commented that government support for affordable housing funding has been in decline for many years. This is indeed true. Kriston Capps reports, "Federal housing aid has been steadily declining since 1995." One proposal announce by President Trump would cement federal assistance decline. His "'penny plan,' annual, cumulative 1 percent cut to non-defense spending would shred the government's budget for housing assistance. The Center on Budget and Policy Priorities estimates that by 2026, federal non-defense spending would 29 percent below current spending levels, even accounting of inflation." That would be devastating to affordable housing programs...Each year, there are inflationary increases needed, especially be so much of HUD's budget is taken up by rental-assistance programs, and those costs go up every year. Just the inflationary adjustment is necessary to keep programs running as they are. There is some hope amidst the gloom. President Trump has the opportunity to improve on President Obama's record. Seriously. Here is how. Rural America has fallen victim to the worst housing conditions in the nation. Buffeted by depopulation, an aging population and housing stock; programs like the LIHTC, dependent on the private market to spur housing, have not had much of an effect on rural America. For over a decade, federal aide under the U.S. Department of Agriculture's Rural Housing programs have suffered steep cuts. 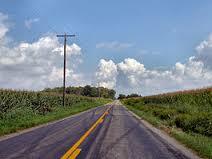 In the election, rural America play a significant role in electing POTUS. There rural-housing programs have basically been starved to death by the last four or five administrations that have come along...If rural American is to survive, it's going to need decent quality housing, or people can't stay and live in those areas. I think it will be an interesting signal to see from the Trump administration...If they just ideologically decide to cut or eliminate those kinds of block programs, they're really going to starve housing out of rural American. that will be devastating to those communities. These communities feel already neglected by the federal government. They're going to feel even more cut off when they basically watch their population be unable to stay because there's nowhere decent for people to live out there. If he follows through on this commitment [to the inner cities], it is important that this approach address the country's growing affordable housing crisis and ensure that people of color are not displaced from rapidly gentrifying neighborhoods. If President-elect Trump is able to take actions to undo the harm that has been done-and frankly the continuing, multi-decade, 100-year, 200-year problem of racial polarization and recall inequality in this country-then his administration will be a success...If, as many fear, he does not, or if we further go down the path of inflaming and making polarization worse, then that will be a disaster. It will be a disaster for his administration, for the country, for all of us.